Posh Wash Auto Wash in Hanover, MA has seen many changes since it first opened in 1975. One of the most significant changes was when they installed a 12mm, 3’ x 7’ double-faced Watchfire digital sign to replace an old manual reader board. Once the new sign was in place, owner Chris Zona immediately noticed an increase in business. In addition to replacing the manual reader board, the business received a total sign facelift by Carley Signs. To make updates easy, Chris chose the Watchfire 4G communication option for the 12mm Watchfire sign, and says he loves the flexibility it gives his business. With changing weather, the ability to immediately publish schedule updates is vital for Posh. 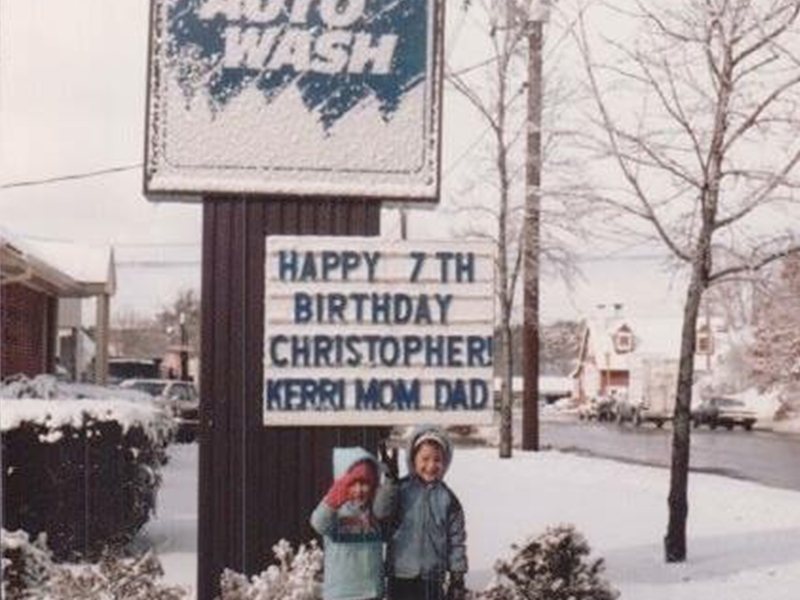 Chris once posed with the manual reader board on his 7th birthday, and today he stands below his new sign as the owner of the business. Posh been around for over 40 years, and Chris works hard to stay current with the latest trends in the industry. He understands why it’s important to improve their equipment and upgrade their advertising needs to increase business. As the second generation to run this private, family owned company, he proudly continues the tradition of providing the best value for their customers. Beyond the signage update, Posh Wash has been fully renovated and offers many unique services. Their V.I.Posh Unlimited Wash Club allows vehicle owners to use as many washes as they want for $30 a month. 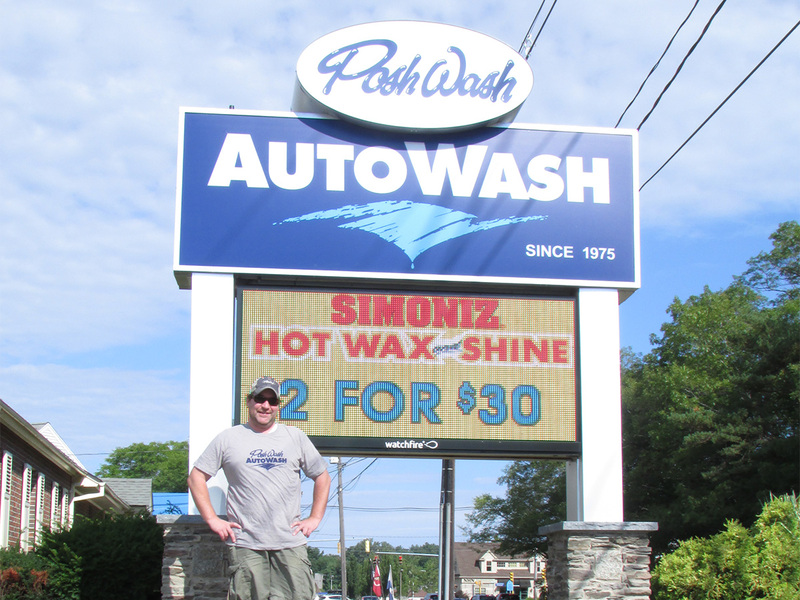 The sign helps advertise these special promotions, as well as differentiators like Posh’s 130-foot wash process, which is as long as three trips through a standard car wash. The new facility signage also serves to complement the company’s environmentally-friendly and technologically-advanced equipment. The old static sign could only display one message at a time, and it took a lot of labor to manually update. Because the car wash business is so dependent upon weather conditions, the immediacy of the new sign makes it easy to adapt advertising for conditions or push specific promotions when utilization is low. Chris often schedules content according to the time of day, weather conditions, or daily promotions. The digital sign has allowed Chris to multiply his marketing efforts and deliver results where they count – the bottom line.